MORGANTOWN, W.Va. — Maybe seeing an old coaching rival across the floor will be all it takes to get West Virginia back on track this season, although it would seem that they need more than that as they try to reinvent themselves to make a run in the Big 12. Without much time to put the pieces back together after losing to Oklahoma State, 87-77, on Saturday, the Mountaineers head to Fort Worth to face Jamie Dixon and TCU in a 7:00 p.m. game Tuesday that will be carried on ESPNU. Now no road game is ever any kind of vacation, but going to TCU has many angles that work against WVU. To begin with, they have to put their overall 8-8 record up against the Horned Frogs’ 12-3 record. First, as angry as WVU has to be about its 0-4 conference start and the frustrations it has felt all season, they can be no angrier than going against a TCU team that dropped its last Big 12 game at Oklahoma, 76-74. It was a viciously hard fought game that was tied 13 times and had 21 lead changes and the frustration was multiplied by the fact that they could not find a way to win in Norman, a place where they are 0-12 all-time. Now they come home, far friendlier territory where they have lost only one of eight games. And then there is a matter of that coaching matchup, a renewal of one of the most intriguing coaching matchups in college basketball. 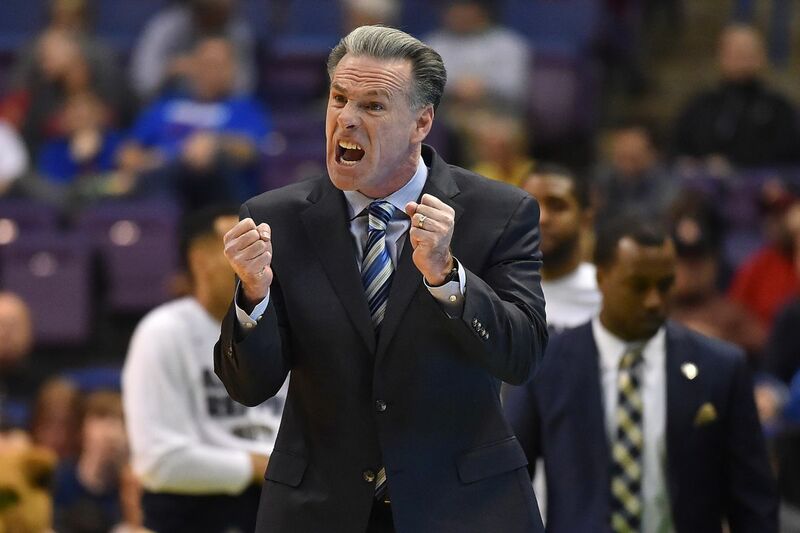 These are long-time rivals, with TCU head man Jamie Dixon having been Pitt’s head coach from 2004 to 2012. All-time, Dixon is 13-10 against WVU but while at Pitt he was 12-7 against the Mountaineers and was one of the few coaches to hold an advantage over Huggins, beating him seven of 11 games head-to-head in the Backyard Brawl. Huggins has turned the tables on Dixon since he went to TCU, winning three of four, although he was ranked every time while TCU never was in the rankings in those matchups. Strangely, both wound up coaching back at their alma maters, Huggins at WVU, where he played from 1975 to 1977 and Dixon at TCU, where he played a decade later, from 1984-87. Dixon took over a program that was mired at or near the bottom of the Big 12 and has upgraded it considerably, although he certainly can’t be pleased with being 1-2 at this stage of the conference season. His most dangerous player actually comes off the bench in the person of Kouat Noi, who averages only 24.3 minutes a game without ever starting but leads in scoring with 14.3 per contest. The 6-7 forward from Australia comes in off his best effort of the year, a 30-point outing against Oklahoma including 10 of 14 shooting, 8 of 12 from 3-point range. Overall they have five players averaging in double figures, which means they will present a strong defensive challenge to a WVU team that has had trouble finding five players who can play defense on the floor at the same time this season. Huggins has, in fact, lamented the fact that he can’t keep players in front of his defenders to keep them from driving straight to the basket. “We’ve fooled around with a 2-3 zone and we’ve fooled around with 1-3-1,” he admitted. That is exactly what Dixon likes to do at TCU. Meanwhile, Huggins has to find a way to get veterans Esa Ahmad and Wesley Harris back into the flow after letting each sit the last time out for the entire game, a message that they had to raise their level of play. After the game he indicated it was a one-time thing and that it was just some hard love as a parent would put forth. “As a parent, sometimes you want more for your children than they want for themselves. That’s a very frustrating situation to be in,” he said. “We ll all have to be on the same page. We all have to be working for the same goal. Huggins also will have to find a way to get more work for freshman Trey Doomes, whose redshirt was lifted in the last game and who seemed to give the team a brief spark.